This was inspired by Nailside. I'm not gonna lie to you guys, I had a really tough time with this mani! I was so so impatient and the polish was taking forever to dry, but I'd put the tape on anyway, and then it would ding up my previous layers as I went to pull it off! Thank god for Seche Vite, which smoothed everything out in the end to a respectable finish. I'm extremely impatient too! I usually paint my nails one day and then try and do some nail art on them the next. But this would only help with one layer. I love what you accomplished though! 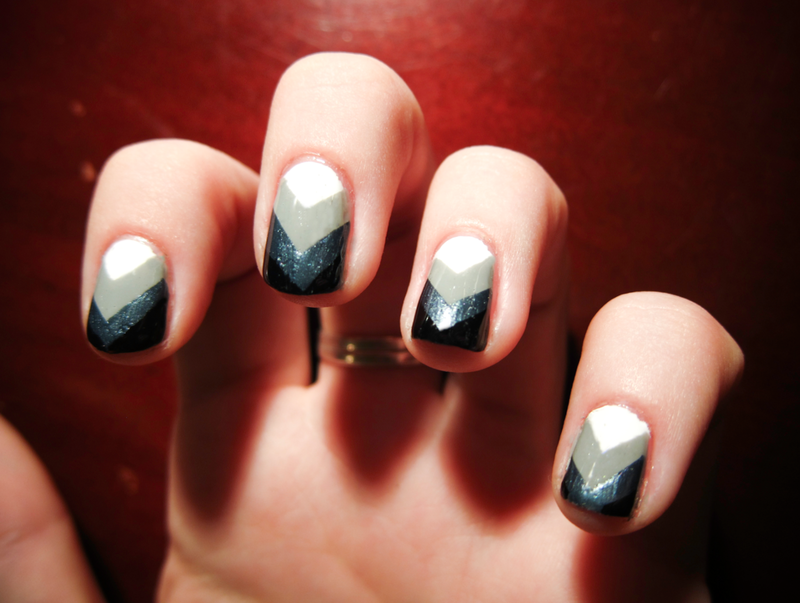 This nail art looks really cool!